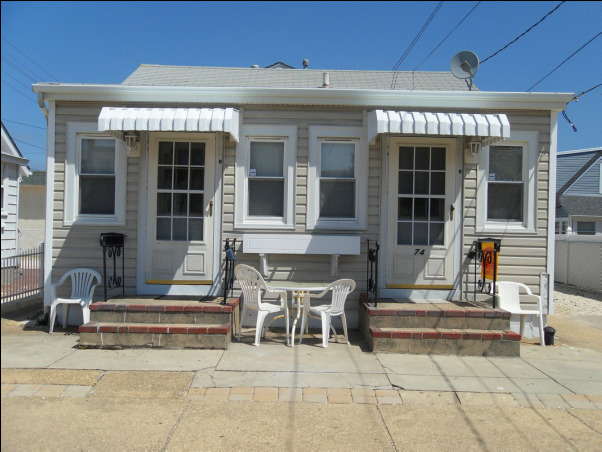 This very affordable unit is located just a block and a half from the beach and just about 2 blocks south of the beginning of the Seaside Heights boardwalk in a quiet family oriented neighborhood. 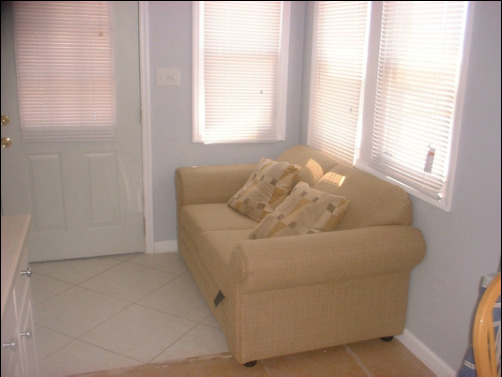 It has recently been completely remodeled with new kitchen and bath. 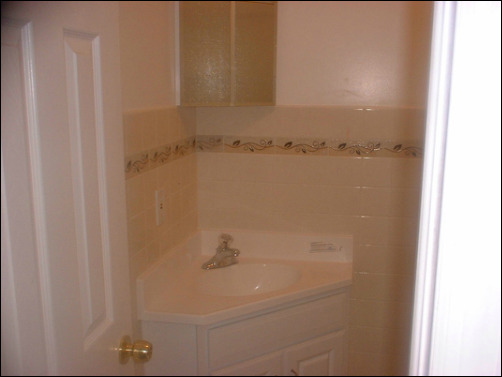 New ceramic tile bath and kitchen floor. 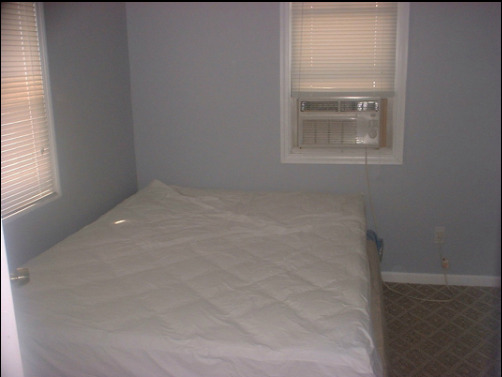 It has 1 bedroom with a queen size bed and a sofabed. 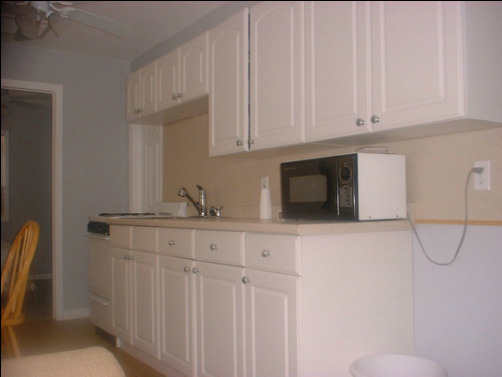 It comes with a microwave, A/C unit and all kitchen utensils. 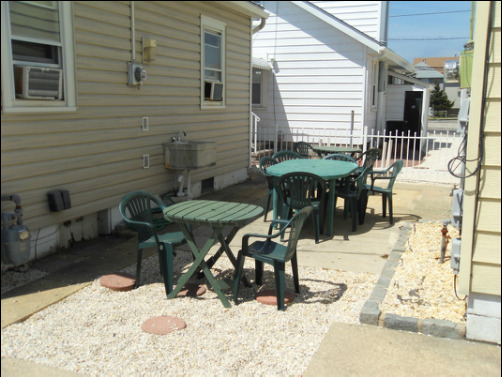 The yard has 2 outdoor showers, a patio with barbeque grills, picnic tables and patio furniture and is only a short block and a half walk to the beach and within easy walking distance to Seaside Heights Boardwalk, all area restaurants, shops and attractions. 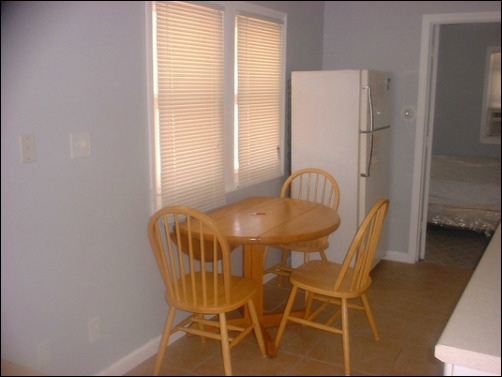 We also offer weekly beach badges for $7 each to our tenants which is a $28 discount off regular price!!! SPECIAL OFFERS: None at this time.